Even more driving pleasure: Porsche Road Trip supports car enthusiasts in planning, organising and navigating extraordinary trips. This new service is now available as an app. “Our goal is to support the emotional driving experience with digital solutions. 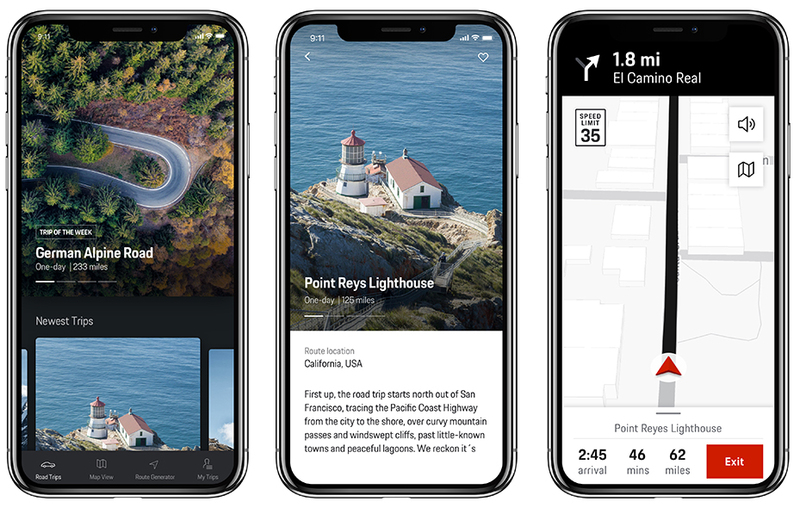 With Porsche Road Trip, we’re intelligently organising trips for our customers, making them as eventful and comfortable as possible,” comments Thilo Koslowski, CEO of Porsche Digital. Porsche Road Trip offers suggestions for trips of different lengths, ranging from a half or full day, through to a two-day-long journey with overnight stay options. The curated routes feature recommendations for selected restaurants and hotels. The service also points out stops along the way, at points of interest or lookout points en route. After selecting a route in the Porsche Road Trip app, the customer can reserve and book restaurants and accommodation directly through the app. An individual itinerary is then produced for the trip, and the customer can save this with their individual Porsche ID after logging in. While driving, the app-based navigation function accompanies the journey throughout. This means the app can be used in any vehicle, including classic cars. The service will also be available directly in the Porsche Infotainment system in future, starting with the new 911 in spring 2019. Porsche Road Trip will initially contain routes in Germany, Austria and Switzerland, as well as the USA. Further countries will follow in the next step. For spontaneous outings, the customer can also use the route generator in the app to create customised circuitous routes. Once the compass direction and route length have been specified, the algorithm will calculate a route from a chosen starting point. Porsche Road Trip is available for iOS now, free of charge from the App Store.